Social media 55 took my career to the next level! Best social media marketing team out there! Social Media 55 really helped us with great direction and strategy. They employ techniques that generate results rather than meaningless impressions or likes. They really thought out of the box and were able to leverage our digital marketing channels for our benefit. I have been jumping from one agency to another for the past 2 years. Most of them promise and never deliver. I have been stable with SM55 for the past year. From graphic design to social media advertising, they were able to deliver in fashionable timelines. Great results!! Social Media 55 took care of my social media marketing needs. They increased my brand awareness and we’re able to generate 10x more traffic to our website. They created high impact images to run targeted ads. Very successful campaigns, highly recommended company! Great Customer Support and always available for a quick chat. Very knowledgeable and quick to hit the ground running. Loved my experience working with them. overall great experience, very flexible and effective ad campaign, beat expectations and over delivered. I recommend Joseph and Social Media 55 to any business looking to increase exposure. Thank you for the great years together! It has been an absolute joy working with you. I can't say enough good things about Social Media 55 and Anzour Jallouga. Thank you for the wonderful review Yana. Anzour is grateful. On behalf of Anzour and the entire team we'd like to thank you. Social Media 55 Created our business pages for social media platforms for our 4 Nissan Dealerships. Social Media 55 ran our ads campaigns, our social media growth, our content creation. The handled our profiles with care and do a great job at bringing in more business and making an overall better experience for our clients. I'm happy that we get to work with Social Media 55. The service Social Media 55 provides is like no other business I have see. Professionalism is the best way to describe them. This group is dedicated to your success and that makes us happy. I am glad we found them. I don't really know where they can improve on because the service they provide Nissan is absolutely superb. So much patience when it comes to training and deployment. 10 on 10. Thank you Pierre and thank you to everyone at NISSAN Canada for making this possible. Thank you Youval for the opportunity to work together. We hired Social Media 55 because we wanted to work with the best company in Social Media Marketing. Not only did we get that, we got a great development company too. I like that I have a rep dedicated to me. I like the fact that I get everything delivered on time. Nothing. They’ve done a great job with everything. Having the privilege of working with a brand like croogloo is an awesome experience. Thank you Gaddy and thank you to everyone at Croogloo. Social Media 55 advised on our social media marketing strategy. They are extremely knowledgeable and ultimately we saw great success from their recommendations. Could become Chicago's go to Social Media firm. They're that impressive! 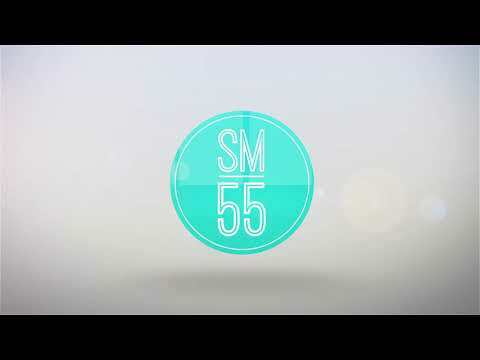 SM55 will exceed all your expectations from drawing board to completion. Chicago's new social media company is certainly going to make some noise with their high quality results! Take over Chicago and nationally! Over the past nine years, I have had the pleasure of knowing Anzour. Anzour is a valuable, dedicated and knowledgeable leader. He has a good sense of urgency, is detailed oriented, and is able to handle conflict constructively. Moreover, he understands what businesses need to succeed in our media-driven society. Anzour’s desire to provide the highest level of customer service and quality for his clients reaches far beyond expectations. Role: Account Manager at Your Maui Escape, Inc.
Social Media 55 provides results. These results put your company into a position of phenomenal growth. We have never been happier with a partner, and will always continue to work with them. If you have prepared to expand, I encourage you to contact Social Media 55. They have the expertise to make this a reality. The quality and timeliness of projects completed are second to none. I’d like to say thank you Anzur for all the help you have provided my company with. Anzur was very professional and very knowledgeable. I will refer you to more people. I’ve never had a company that worked so hard to see its client get the best results. From start to finish, they persisted to make sure we were happy with the end results. Role: Senior Investment Advisor at Assante Capital Management Ltd.
From the beginning I was put at ease and asked questions that demonstrated they know their craft. What followed was a series of recommendations that were on point with my client base. Results thus far are better than I expected. Ability to quickly get on the same page as my vision and needs and produce strategies to compliment both. Thank you JP for the opportunity to work together. The work ethic, culture and professionalism. The agency can help us with more projects in the near future and we are looking forward to establishing a long term relationship. Social Media 55 is passionate about and thrives on helping their clients get the results they need. They bring creativity and out of the box thinking to all situations with impeccable professionalism and follow through. I needed branding done for one of my company's. I wanted a logo that stood out, banners for re-targeting and Social Media Ad creatives. They were able to accomplish everything I wanted in a reasonable timeline. I am happy with the work they have done and I will be working with them again. Thanks Benjamin for all your hard work! Responsive, quick, professional. All around a great marketing company to work with. Based on my experience with them, I am the one that learned. They guided me form A to Z. We are now building the website it’s almost finished and looks perfect. I like how involved the staff is on my project and how they are great at communication. I don’t know because they have done everything perfectly. 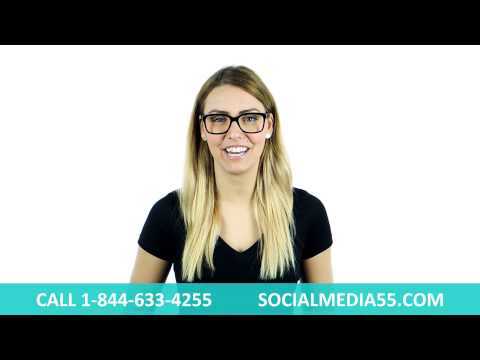 I hired Social Media 55 to help me with my digital marketing and social media needs. I began using their service in 2015 and was not sure what the results would be. Over three years later I’m still using them and the reason is that Social Media 55 has far exceeded my expectations and have brought me the results that will keep me coming back for more. I like the one on one service I get and I really enjoy that whenever I have any issues my concerns are mad immediately. At the moment I really don’t know how I can answer that question because I can’t think of any room for improvement. High level of professionalism, amazing attention to detail - and great care of client needs ! Role: Chief Operations Officer at Your Maui Escape, Inc. This was the best decision I have ever made. I’ve always seen social media as a strong platform for marketing, however I did not know how to fully utilize it. I contacted Social Media 55 after doing extensive research on other companies. I had good feelings about working with them, but I did not expect just HOW good it was going to be. Not only do they know their stuff and excel in this and related industries, they are also wonderful to work with. Joseph and his team take a very personal approach to each client. You are not only a client, but you are also a friend. The personal and custom approach to each challenge. Social Media 55 has helped get our business visible on google. Thanks to the digital marketing and social media service we rank in the first page on google in our segment in our city. We used to not exist online and now people buy phones from our business every single day thanks to being found on google. When we ask our clients where did you find us. A good amount of them tell us they found us on google. Service is phenomenal no need for improvement. Thank you Julian for the excellent support to help make your campaign a breeze. I'm happy to see you get Instagram growth on a daily basis thanks to Social Media 55's Instagram Engagement Service. My experience was simply amazing. They are the best choice to guide you on the right track to succeed. Fast and available when you need them. Honestly nothing negative to say about them. We are glad you are happy with your new Shopify Website design. It was a pleasure working with Joseph and his team at Social Media 55. Look forward to our next compaign. Thanks Seth. It's a pleasure getting to work with you and spending the past week with you. I have been working with Social Media 55 for 1 year now. Social Media 55 built my Shopify www.armanimaxwells.com We have almost 1000 products with different variants. We have developed a Social Media profile on a number of platforms. Some of them are Facebook & Instagram where we can tell our story. I love the fact that I regularly speak with Social Media 55. We speak a few times a week and I meet with Joseph my account manager regularly. They could improve if they want to learn how to actually make my beautiful original limited artwork. Armani Maxwells. It's been an incredible journey. We are thrilled to see your work online and being shared with the world. The best service for the best price ! Love the service they are able to provide and always deliver quality work! I have no complaints ! Having the privilege on working on one of Montreal's real estate accounts has been a wonderful learning process. I can't wait to see what's to come Nick. Very reliable agency and great team to work with ! I approached SM 55 to help me build a website for my customer. They were able to deliver the project in a timely manner and the results are great. I would definitely recommend them to anyone. Elie, thank you for the opportunity to work with Courimo. I look forward to hundreds if not thousands of websites to come. If you could hear me saying Courimo, I promise you that I'm pronouncing it correctly! I continue to have great service and success with my business through social media 55's ability to understand my businesses needs. As the business grows I intend on growing with social media 55's help! Best bagels in Montreal. Thank you for the 4 years of support! Social media 55 is a very highly trained and professional marketing company. Highly recommenended. Thank you for the kind words Dylan. Looking forward to sharing many more great strategies with you. SM55 helped me with my social media for my Plant business. The work with Social Media 55 is ongoing and I look forward to see that's to come. I like the fact that when you look at the growth you see progress. They can present great new ways to market and stay ahead of the competition. As long as they're doing that the job is well done. Working with Social media 55 has been an incredible experience! Thank you Frank and thank you to the entire HGREGOIRE team. We are grateful for the wonderful opportunity to work with you on your marketing campaigns. Role: President at Eivan's Photography Inc. In an everchanging tech driven world, enterprises and organizations need to deliver outstanding service and support in order to stay ahead of the competition and Social Media 55 has ensured that our company’s various subsidiaries and brands continue to thrive and reach the necessary consumers both online and offline systematically. Working with social media 55 was a great choice as they helped me grow my business. Thank you Kyle and Thank you to everyone at Corwin Capital. You were one of our first clients and we must thank you for putting trust into us so early on in our development process. There are many players in the game, but one is really starting to make some noise, and that company, is Social Media 55. With headquarters in Montreal, Canada, the tightly knit and highly skilled group is heavily invested in both the US and Canadian markets. Social Media 55 has offices in Montreal, Toronto, Los Angeles, Chicago, New York and opening offices in Vancouver, Ottawa, San Francisco, Atlanta, Washington D.C. in 2019.